September was as sad month for the HPC section with the sudden death of Danie Smit our previous rear commodore and the driving force behind the establishment of the HPC section. Danie loved the sea and paddling and it was a sad but fitting occasion on Sunday 20 September when his wife Hester and a number of paddlers paddled out from the yacht club to strew his ashes in the sea where he used to paddle so often. Danie will be sorely missed and fondly remembered. Our prayers and thoughts are with his wife Hester and son Siegfried. Summer is fast approaching and the days are getting longer. 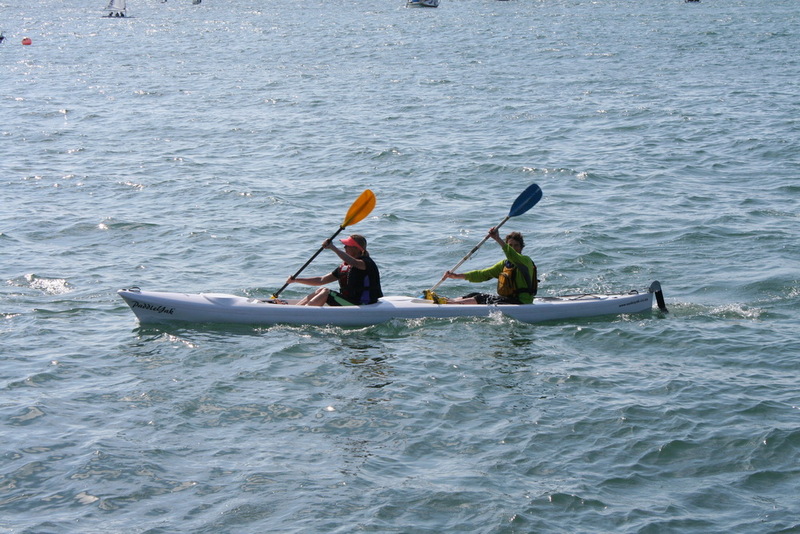 More paddlers are coming out of hibernation and there has definitely been an increase in activity. Six of our yacht club members did the Breede River Canoe Marathon during the first weekend in September. Although the river conditions were on the low side the three K2 (doubles) crews of Charl Van der Walt and Theo Pauw, Jan-Hendrik Barnard and Piet Smit and Kobus and Jacques Maritz thoroughly enjoyed the race. The weather was good and all three crews finished the race without major problems and in good times.